AIIMS 2018 examination is a national level examination, which is regulated by the All India Institute of Medical Sciences, New Delhi. 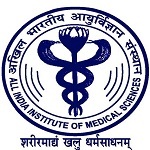 AIIMS MBBS exam will be considered for providing admission to students in the MBBS programme offered by AIIMS, New Delhi, Bhopal, Jodhpur, Rishikesh, Bhubnaeswar, Patna and Raipur. AIIMS exam will be organized to offer admission in 700 MBBS seats offered by AIIMS institutions. This exam will be conducted through CBT (computer based test) in various cities. Here we are providing details about AIIMS 2018 exam, including application form, eligibility, exam pattern, syllabus, etc. Students can register for this exam through online mode only. There is no offline mode available for filling the application form. Fill all the registration details carefully and submit it. Select the city choices for entrance examination. Now, fill educational qualification and address details. Upload the scanned images of signature, photograph and thumb impression in prescribed format. After completing all the steps, click on the final submit button. Don’t forget to keep a printout of the application form for future references. The fee payment can be made through online mode only. The payment can be done using debit/credit card or net banking. Age: The minimum age limit is 17 years as on the 31st December of the year of admission. Students born on or after 2nd January 2002 are not eligible to apply. Qualification: Passed 10+2 or equivalent exam from any recognized board with Physics, Chemistry, Biology and English subjects. Candidates appearing in the qualifying exam can also apply. Minimum Marks: Students must have obtained a minimum aggregate in Physics, Chemistry, Biology and English subjects which is 60% for general/OBC and 50% for SC/ST/OPH candidates. Exam Mode: The exam will be conducted through CBT (Computer Basted Test). Duration: The exam duration will be 3 ½ hours. Exam Shifts: First Shift (9:00 AM to 12:30 PM) and Second Shift (3:00 PM to 6:30 PM). Type of Question: Questions will be Objective Type (Multiple Choice and Reason-Assertion type). No. of Question: Total 200 questions will be asked in the examination. Language: Question paper will be provided either in English or in Hindi language. Negative Marking: 1/3 mark will be deducted for incorrect answer. Circular Motion, Electricity, Nuclear Physics, Electro-Magnetic Induction, Electronic Devices, Kinetic Theory of Gases, Measurement, Motion, first law of Thermodynamics, Physics of the Atom: Thermodynamics: Work and heat, Solids, Wave Motion: Optics, etc. Section A: General & Inorganic Chemistry, Molecule and Chemical Bond, Periodic Properties of Elements, Structure of Atom, Section B: Organic Chemistry, Chemistry of Elements and Compounds, Section C: Physical Chemistry, Chemical Equilibrium, Energetic, State of Matter, etc. Anatomy and Physiology, Developmental Biology, Diversity of Animal Life, Genetics and Evolution (Fundamentals only): (symbiosis), Histology, Reproductive System, etc. Absorption and cell water relations, transport of water and minerals, Anatomy and Physiology of Plants, Meristems-Plant growth and development, Botany and Human Welfare, Importance, History, Factors and mechanism, Internal structure of dicot and monocot leaves photosynthesis, Internal and external regulators of growth and development in plants, Internal structure of dicot and monocot roots, Internal structure of stem and secondary growth, Tropic and turgor movements, Transpiration & respiration, Xylem and Phloem-their cell elements and functions, etc. Current Affairs, Punch line of companies, Business, Top officials of big companies, Famous award and prizes, Major corporate events, World Records, Books and authors, Science, History, etc. Gather all the details about officially prescribed syllabus. Make a proper study plan and divide your time equally for all the subjects. Consider the good study materials for exam preparations and also include previous year question papers for studies. Mark the difficult topics in the syllabus and discuss them with your teachers, tutor and class mates. Maintain your health, take a healthy diet and do exercise & yoga. Candidates who have successfully registered for the exam will be able to get the AIIMS hall ticket. Students can get the admit card via online mode through the website. The admit card will not be sent by post. Candidates are not allowed to appear in the examination without producing a valid admit card. Admit card will contain details like roll number, exam centre, exam date, time, etc. The AIIMS 2018 Result will be declared in the second week of June 2018. Students may check the result through the website. Students are needed to enter the following details Candidate ID, Password & Security Code to check the result. Take some extra printouts of the result for further use. A merit list will be prepared as per the marks obtained in the examination. AIIMS Rank List will be prepared separately for various categories. Students will be called for counselling process, according to the merit list. The counselling will be organized for all seven AIIMS via offline process at AIIMS, New Delhi. For the counselling process, candidates have to appear at the specified time and venue mentioned in the counselling call letter. Candidates have to mark their preferences as per their ranks. Seats will be allotted to candidates, on the basis of rank, filled choices and seats availability. After seat allotment, candidates have to appear at the allotted college to confirm admission. If you have any queries about AIIMS 2018, you can ask us by leaving your queries below.